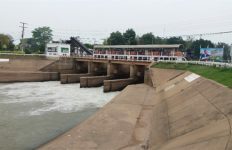 A lack of common understanding among border officials on the regulations concerning phytosanitary measures and pest detection has created delays in trade and decay the quality of agricultural goods in many South East Asian countries. 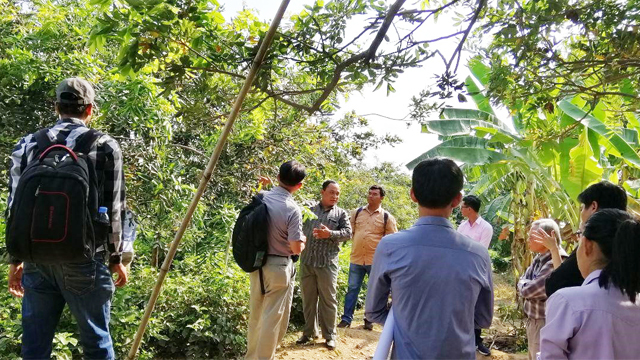 13 technical officers from the General Directorate of Agriculture (GDA) under Ministry of Agriculture, Forestry and Fisheries of Cambodia attended a five-day coaching on the Pest Risk Analysis (PRA) that included field practices using longan as model crop. 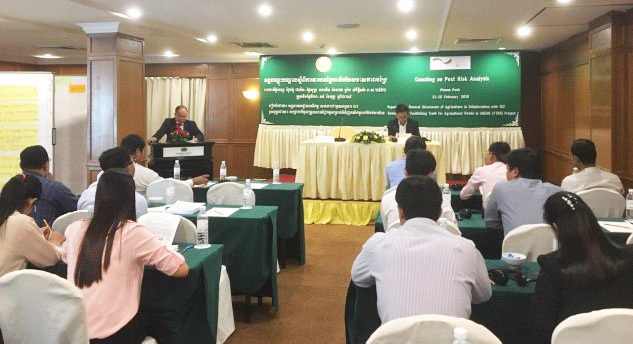 “An analysis on pest risk is very important to facilitate safe trade based on scientific evidences to prevent transmission of pests from one area to another in Cambodia by all means,” said Dr. Ny Vuthy, Deputy Director of the Department of Plant Protection, Sanitary and Phytosanitary under the GDA. 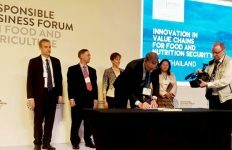 Dr. Vuthy has set his sights on Cambodia’s effective implementation on trade facilitation of agricultural goods that meets international standards and are harmless to quality of plants. Once the speed of a phytosanitary inspection on agricultural goods at borders is improved, storage and transport costs will be greatly slashed. “We shall avoid scenarios that would cause member states of ASEAN [Association of Southeast Asian Nations] and World Trade Organization to consider Cambodia as a pest host,” he said. 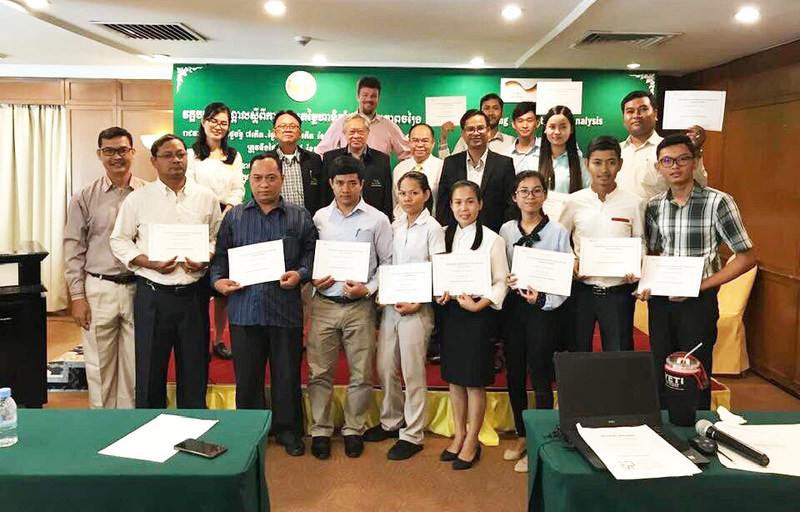 Through a jointed initiative called: Facilitating Trade for Agricultural Goods in ASEAN (FTAG), the GDA in collaboration with German International Cooperation (GIZ) organized a series of training sessions on the PRA between February 11 and 15 in Phnom Penh. FTAG, first launched in June 2017, aims at giving local traders and farmers streamlining the cross-border trade of selected agricultural goods. Besides longan, banana, dragon fruit, lychee, mango and chili have been identified as potential crops to be developed through peer-to-peer learnings to align with regulatory framework and procedures to facilitate faster border crossing of fresh agricultural goods.